In addition, we service and sell most other hearing aid brands available in the Ontario market. Our recommendations are based on years of experience and expertise in the industry, and we select hearing aids that meet our superior standards of quality, reliability, service, using the latest technology. Beltone’s hearing solutions are developed using only the latest hearing technology and are designed to fit just about any lifestyle and hearing loss. Explore this section to learn more about Beltone’s state-of-the-art hearing aid technology and how we can meet your cosmetic needs with one of our many hearing instrument styles. Every day is filled with special moments that make our lives amazing. Every word, laugh and sound add to our relationships and experiences. Beltone Amaze ensures you won’t miss a moment. 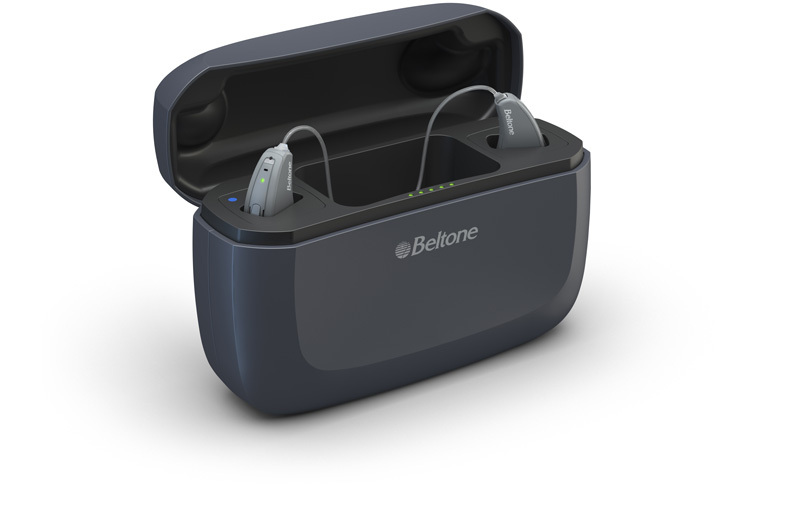 We are thrilled to announce our latest and greatest—Beltone Amaze™, our most complete hearing care solution. Enjoy an amazing hearing experience all around with some of the most innovative features available. Beltone Amaze will give you an amazing hearing experience in all the moments of your life with a clearer, fuller and richer sound. It’s fully rechargeable, easy to use, and can connect to any of your devices. With Beltone Amaze, hear all of life’s beautiful and delicate sounds, from a grandchild’s exciting story, a quick joke in a busy restaurant to birds singing in the distance. And, if you’re a music or theatre lover, you’ll find live performances deeper and more fulfilling. Beltone Amaze has faster processing and extended bandwidth, which means you’ll be able to hear birds singing, leaves rustling, and grandchildren laughing better than ever. You’ll even be able to more fully enjoy the textured tones of your favorite music! The new Impulse Noise Reduction feature reduces loud or uncomfortable sounds making the pleasant ones come through even clearer. What makes the Sound Quality in Beltone Amaze so special? Watch the video to find out. Make fiddling with batteries a thing of the past. Thanks to the Beltone Amaze integrated lithium-ion battery, you will no longer need to replace batteries. Recharging is simple. Place your hearing aids in the charger overnight, and they will be ready again in the morning. If you forget to charge your hearing aids, no worries! With just 30 minutes of charging, Beltone Amaze is good to go another eight hours before the next charge. Wireless accessories and Made For iPhone connection mean you can connect Beltone Amaze to any of your devices. The improved streaming technology allows you to stream music, movies, and phone calls right to your hearing instrument, without losing any sound quality. 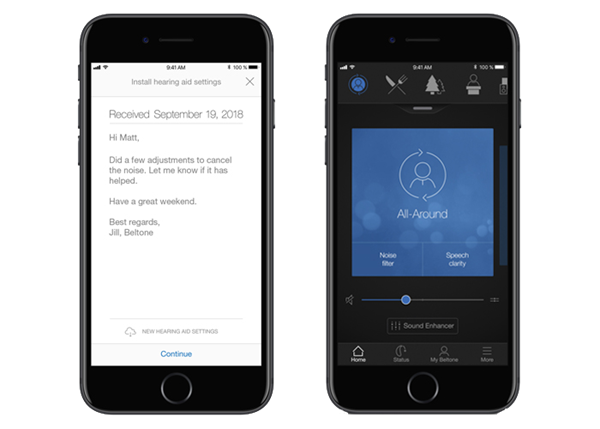 You can easily control your hearing aids remotely with the Beltone HearMax™ app. With a few simple taps on the screen, you can discreetly adjust the program and volume on your hearing aids, check the battery status, and even change speech focus–all from your smartphone. Many people with hearing loss, including hearing aid wearers, have this concern. 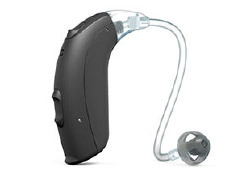 The best hearing aid in group settings. Book your hearing test today and get a FREE in-office demonstration** of Beltone Trust™ 17, where you’ll hear better in groups than with any other brand. **In-office demonstration will simulate the noise experienced in a challenging group environment. We offer hearing aid styles from invisible to nearly invisible. 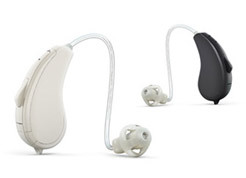 Beltone Trust™ is the most advanced and flexible hearing aid experience available today. 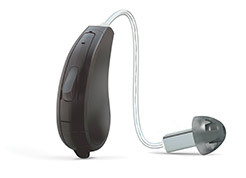 Hear up to 80% more sounds around you than with any other hearing aid on the market. Connect with one of our hearing health specialists outside regularly scheduled appointments, from anywhere you are in the world. You will be covered for the life of your hearing aids, from your first screening, through all the years you own your Beltone hearing aids. Every person is unique, and so is their hearing. A hearing aid doesn’t just need to equal your hearing loss, it needs to equal your lifestyle and individual needs. Beltone Legend™ hearing aids adapt to unique situations and individual lifestyles better than any on the market. Its many technological advances combine for outstanding sound quality and exceptional speech clarity. There is no need for compromise. Beltone Legend is ideal for all lifestyles, available in a variety of discreet models and colours to suit anyone. 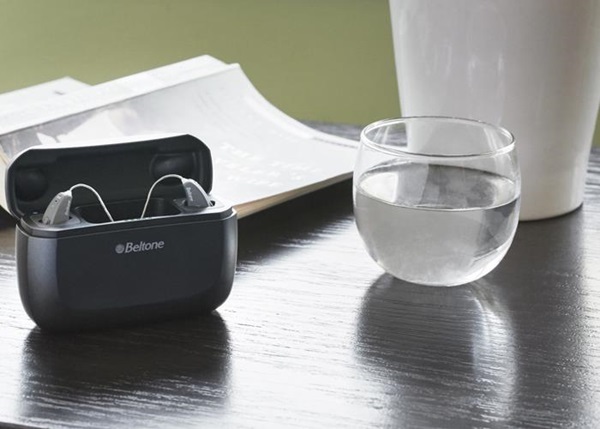 Discover Beltone Ally™, a new wireless product family with advanced and easy-to-use features, never before seen in this class of hearing aids. With Beltone Ally hearing aids, life can be more rewarding. When you simply need to hear better, Beltone Ally is always there for you, like a reliable friend.